Sharon and I visited the Mokuaikaua Church when we were on the Big Island for Becky's wedding. 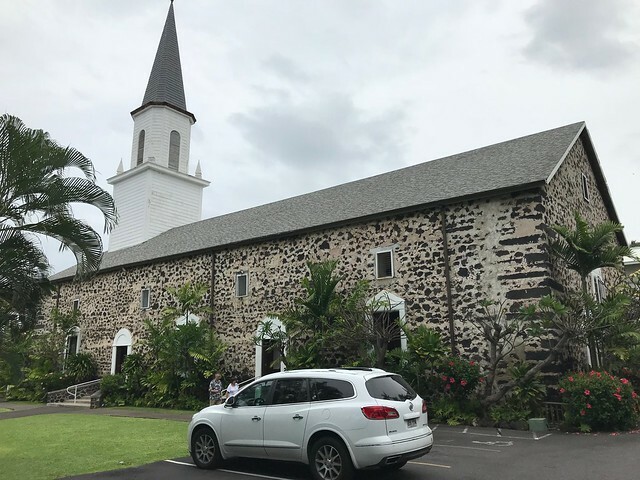 This church is located at 75-5713 Ali'i Drive, Kailua-Kona, Hawaii. The GPS coordinates for this location are N 19° 38.364 W 155° 59.636. 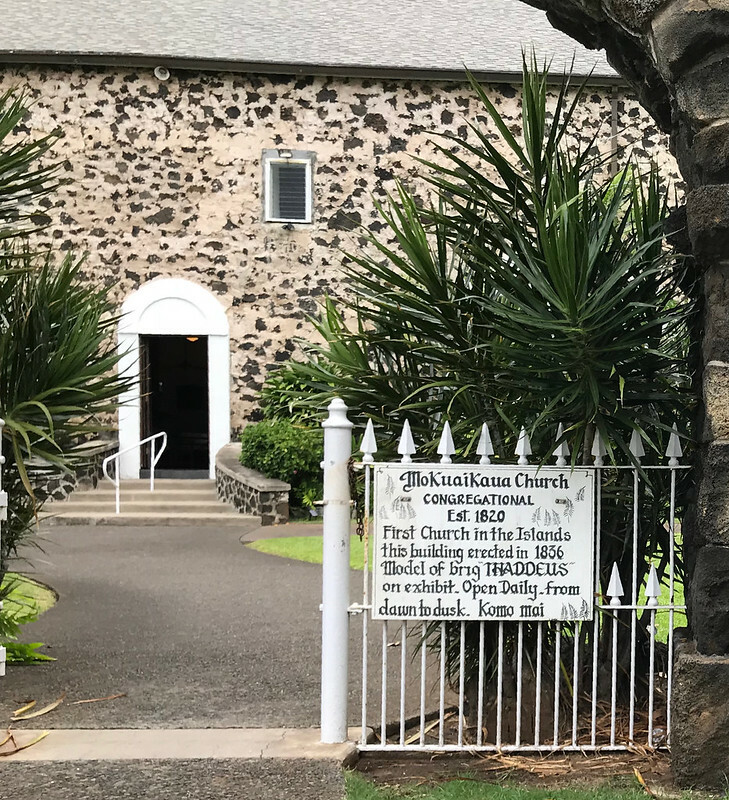 Mokuaikaua Church, located on the Big Island of Hawaii, is the oldest Christian church in the Hawaiian Islands. The congregation dates to 1820 and the building was completed in 1837.